The Evergreen Park Chamber of Commerce is launching our holiday Shop Local campaign, and all members are invited to participate! Send us your details on holiday promotions or discounts for the month of December. 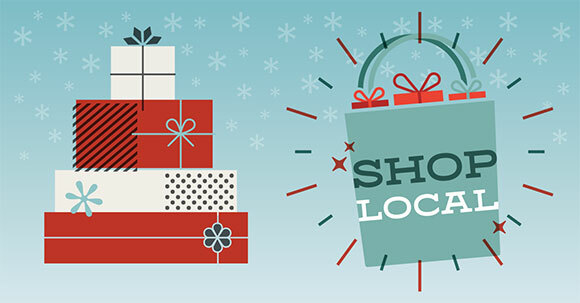 We will publicize them in digital and print materials as part of our ‘Shop Local’ campaign that runs December 1–31. The ‘Shop Local’ campaign will include a brochure advertising holiday offers from Chamber members. Residents are invited to save their local shopping receipts throughout the month of December. At the end of the month, they can exchange each shopping receipt from a business located in Evergreen Park for an entry in our ‘Shop Local’ contest, and a chance to win $500 in gift cards from Chamber members. A winner will be selected January 8. ‘Shop Local’ kicks off with a community celebration on Saturday, December 1, from 10:00 am to noon at First National Bank of Evergreen Park. We’ll have your promotional information ready to share, along with carolers, cookies, hot apple cider, and a visit with Santa. All Chamber members are encouraged to attend!